The Tories promise ‘tougher regulation’ of tax avoidance – but why should we believe them? The UK Conservative Party’s manifesto promises ‘tougher regulation of tax advisory firms’. This sounds good but haven’t we heard all this before? 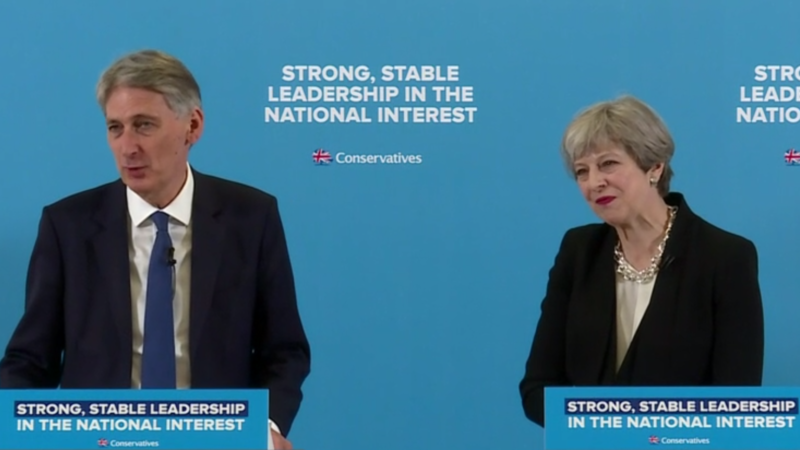 The Conservative Party has been in office since 2010 and its practices since then can provide a good indication of what it means by ‘tougher’. This article looks at two policies which were designed to deprive tax avoiders of public contracts and also check abusive tax avoidance schemes. The evidence shows the promises to be hollow. On 1 April 2013, the government introduced Promoting Tax Compliance and Procurement rules. The aim was to ensure that organisations engaged in tax avoidance could not secure public contracts. The rules only applied to central government contracts worth over £5 million and exclude contracts awarded by local authorities and public bodies. The guidance notes issues by the government said that the policy was based on self-certification by suppliers and not on enquiry or audit by HMRC, the UK’s tax authority, or the contract awarding department. So bidders are asked to voluntarily admit that they have failed to comply with tax laws and exclude themselves from the bidding process. Even if a bidder admits non-compliance, the government department could choose whether or not to exclude such a supplier by taking into account mitigating factors, such as the promise that the bidder will be tax compliant in the future. “…of the 65 bids applying for central government contracts of £5 million or more, one potential bidder failed the overriding mandatory procurement test. This failure, however, was due to the bidder being unable to provide and deliver services that would fulfill the procurement department’s contract, rather than an issue of whether or not they were tax compliant. The remaining 64 potential bidders declared that they had been tax compliant”. In other words no one had been excluded. This was embarrassing and thereafter the government refused to provide meaningful information. In February 2016, Louise Haigh MP (Sheffield, Heeley) and in March 2016 Kelvin Hopkins MP (Luton North) pressed the government for an update, but were fobbed-off. It is noticeable that big accountancy firms (KPMG, PricewaterhouseCoopers, Deloitte and Ernst & Young) who are at the heart of the global tax avoidance industry and criticised by the House of Commons Public Accounts Committee (PAC) for their nefarious practices received £673 million of government contracts in 2016. “There is a misconception that GAAR will mean the likes of Starbucks and Amazon will be slapped with massive tax bills. This is wrong and the Government needs to explain that to the public. GAAR is narrowly defined and will only impact on the most abusive of tax avoidance”. The GAAR legislation was designed by a group dominated by corporate elites and a key principle was that if something is already well established then it can’t be considered to be abusive. Even worse, to chase the abusers, HMRC would need permission from a panel consisting exclusively of business elites. Asking foxes to guard the henhouse is a poor policy and contradictions were soon exposed. One of the initial appointees to the GAAR Panel was David Heaton, a partner in accountancy firms Baker Tilly and a former chairman of the Tax Faculty of the Institute of Chartered Accountants in England and Wales (ICAEW). In September 2013, Heaton was secretly filmed by the BBC offering tips on how to keep money ‘out of the chancellor’s grubby mitts’. He advised an audience on how they could exploit maternity pay rules ‘to get the government to pay your bonuses’. Subsequently, David Heaton resigned from the GAAR Panel. The GAAR Panel has yet to consider any cases and the legislation has not led to any investigations or prosecutions. The Conservative Party is once again promising ‘tougher’ actions but the past promises have failed to deliver. The party is engaged in impression management as it soothes public anxieties about tax avoidance by promising tougher action then adopts a feather-duster approach to implementation. This way it manages public opinion and appeases corporate allies, but fails to check organised tax avoidance and the damage done to the public purse. To date, no tax dodger has been banned from securing public contracts and no tax avoidance scheme has been categorised as ‘abusive’. Nor are there any test cases against big corporations or accounting firms. Tax avoidance is merely tax evasion where the law has not caught up with the practice. Avoidance v. evasion is a little word game those who are tax efficient or minimisers like to play. The Tories have multi layered and multi factored conflicts of interest when it comes to bearing down on anti-social tax practices! My opinion: It won’t have an end! Lets put it this way, they are too conservative and this is a big change!